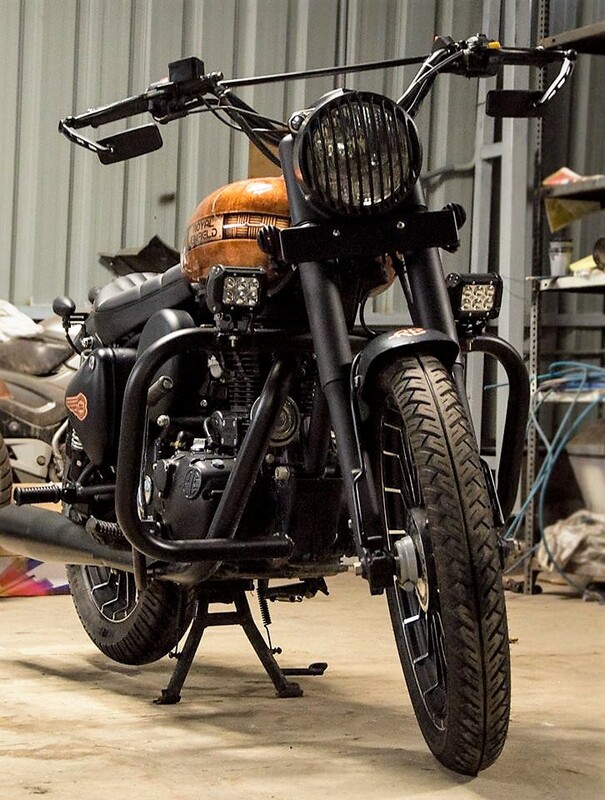 The post Royal Enfield Classic 350 ABS Launched @ INR 1.53 lakh appeared first on Maxabout News. 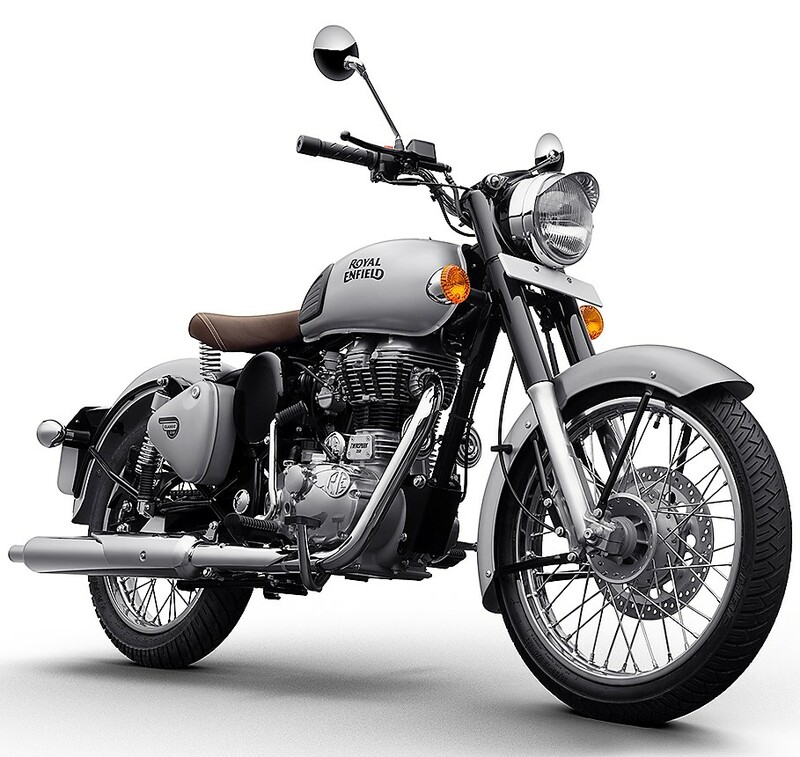 Royal Enfield Classic 350 ABS has been launched in India for INR 1.53 lakh (Ex-Delhi). 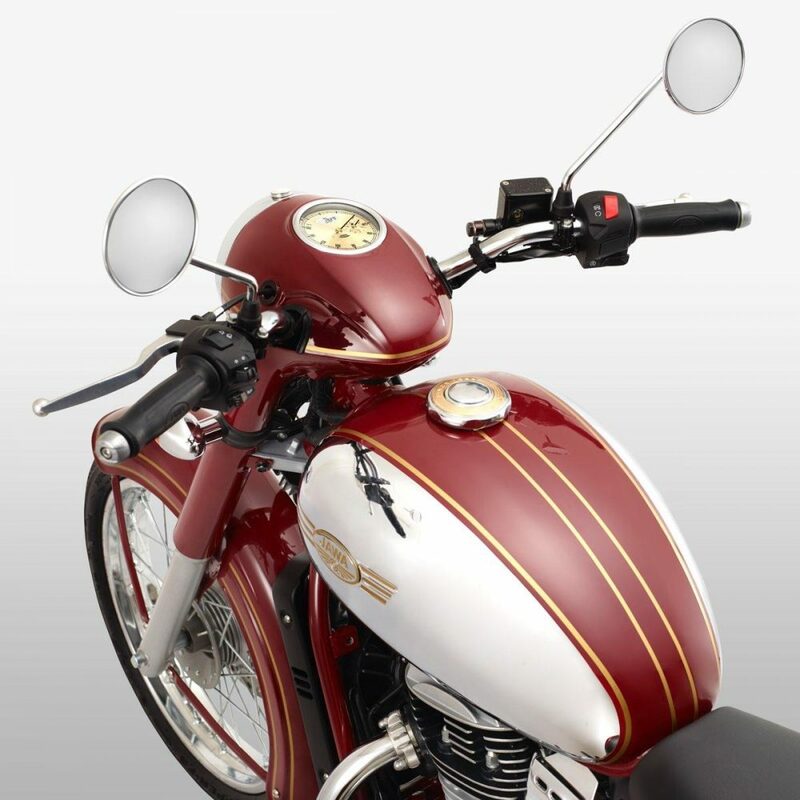 The motorcycle marks the completion of ABS upgrade in the Classic series, leaving all four variants for the 350 and five variants for the 500cc model with dual channel ABS. The price hike was minimal on the base variant, clearing the fact that Royal Enfield wishes to keep the base variant approx INR 10,000 lower than the Signals Edition. The latter started the ABS revolution among the Classic series bikes and even got stuck in a controversy with Pegasus Edition owners for similar badging and finish. 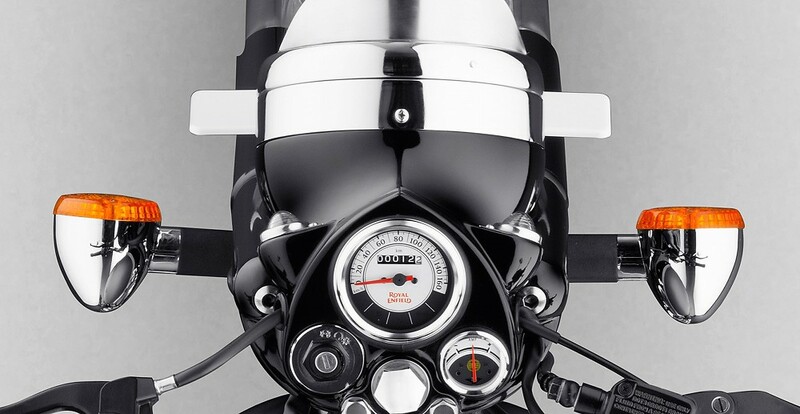 Classic 350 is powered by a 346cc, single cylinder engine, producing 20 HP at 5250 rpm and 28 Nm at 4000 rpm. The engine comes mated to a 5-speed gearbox. The same engine is working under the frame of Bullet and Thunderbird series, producing exactly similar output and leaving the seating position different on all three of them. The highest selling model is still the Classic 350 but after the inclusion of ABS, the prices of Thunderbird and Classic series does not have that huge gap as before, helping the former gain some number from those who need higher fuel carrying capacity. The motorcycle comes without a tachometer and thus, helps the Thunderbird gain some traction among the fans. 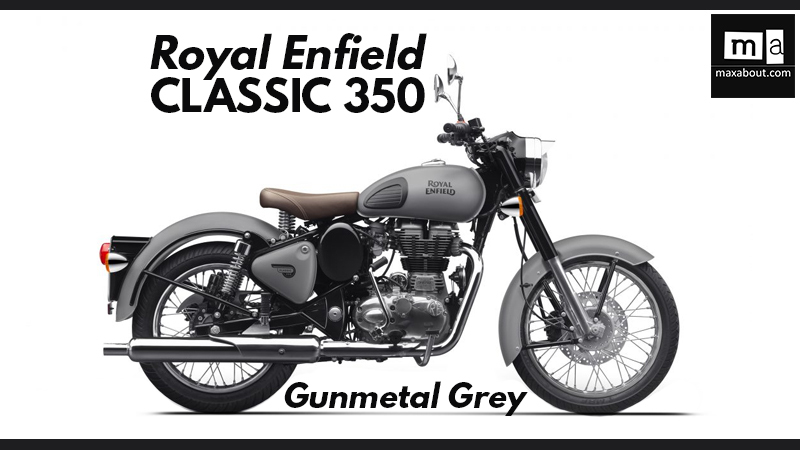 Classic 350 Gunmetal Grey is available INR 1.55 lakh while Classic 350 Signals can be bought for INR 1.63 lakh. 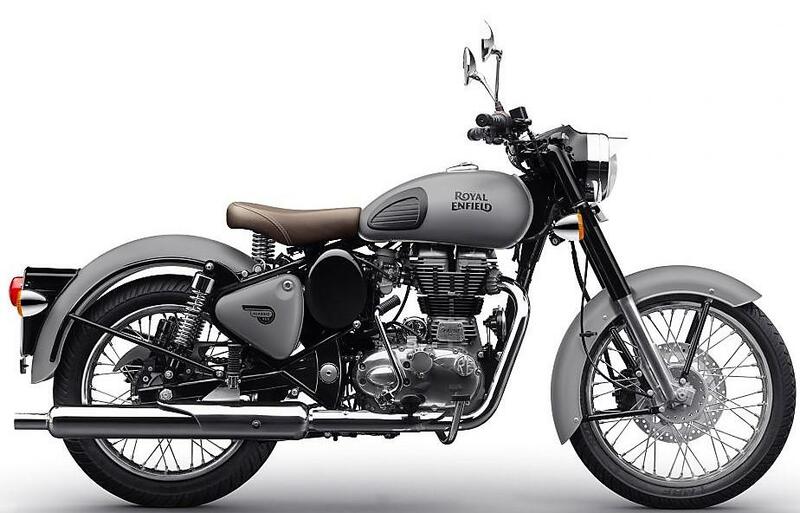 The Redditch edition is priced at the same point as the regular Classic 350 variant at INR 1.53 lakh. The post Sales Report Comparison: Royal Enfield Classic 350 vs Bajaj Dominar 400 appeared first on Maxabout News. 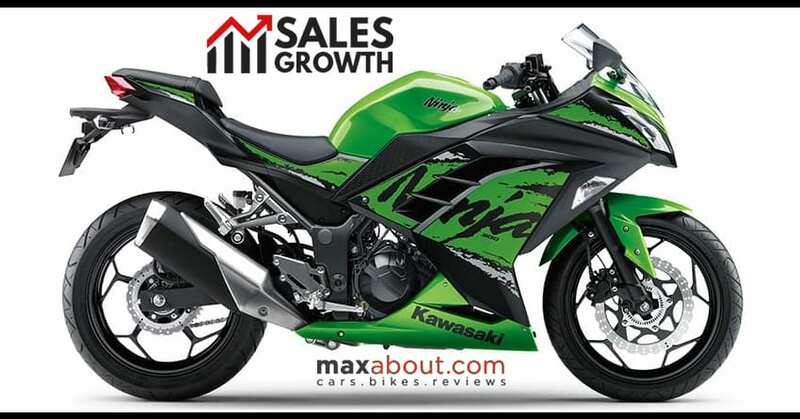 RE Classic 350 vs Bajaj Dominar 400 (Sales Report): Two big brands and two potential products are currently at war. Here we are talking about Royal Enfield Classic 350 and Bajaj Dominar 400. If we consider the scenario that emerged two years back, Royal Enfield was silently surfing the success wave. They were gaining huge numbers with every passing month and like every true rival, Bajaj Auto launched a product that could shake grounds under the wheels of Classic 350. Still, the plan went down soon with RE bringing 25-50 times more sales every month. 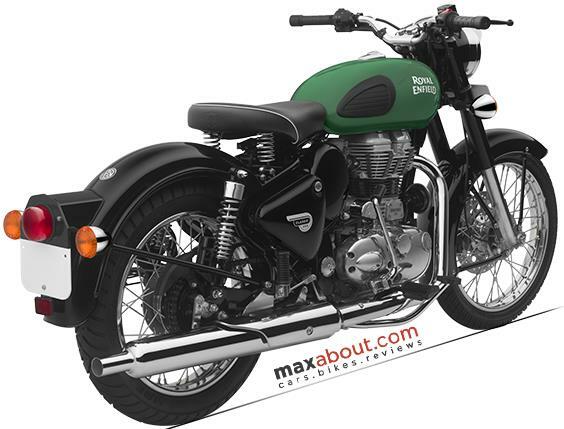 The product was right but unfortunately, buyers never considered the same as Classic 350 rival. If you ask a random motorcycle guy about what he thinks about both these bikes, he will certainly explain you the differences in a better way than Bajaj Auto. Was Dominar 400 born to take on Classic 350? The sales number narrate a different story. Did anyone of you found a retro-inspired design line in Dominar 400? Then why Bajaj Auto openly criticized the Classic and thought Dominar will work? Dominar 400 is a great machine that could munch miles all day without breaking a sweat, that too at triple-digit speeds and pushing zero numbness into your saddle. Bajaj could have explained all this rather than going for odd comparisons and making irrelevant TV Commercials and videos. LED lights, slipper clutch, ABS, alloy wheels, extra wide tyres and full digital console, all of these were good enough to prove Dominar 400 a star with its own charm. Classic 350 is unbeatable and that is proven here through an average 40,000+ units of the sales chart. Dominar 400, on the other hand, struggled to cross 3216 units and presently, fell back to two-digit units. Was it projected as an independent affordable tourer, the figures would have been quite different. Why would you run in the opposite direction of flowing wind if you can enjoy running with it at a faster pace? Bajaj Dominar is a very capable product and has a good potential but Bajaj must stop mocking Royal Enfield motorcycles and launch new advertising campaigns if they seriously want to boost the sales of Dominar 400 in India. 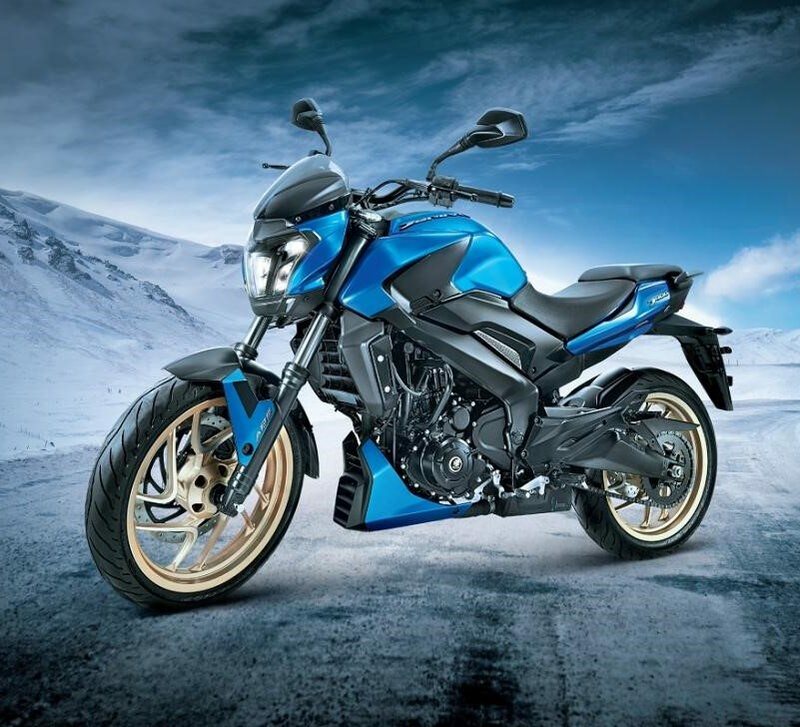 Bajaj will soon launch the 2019 mode of Dominar in India with new double barrel exhaust and upside down front forks. The post Jawa Effect: Royal Enfield Classic 350 Sales Down by 28% in India appeared first on Maxabout News. Royal Enfield Classic 350 is feeling the heat from the arrival of Jawa motorcycles, registering 34,325 units in the month of December 2018. The number is 28% down from the number of units registered in the same month in 2017. The other reason for sales downfall is the rising prices of Royal Enfield bikes with the addition of ABS. The variants are now dearer by INR 30,000 and all that comes through price hikes, rear disc addition, and dual-channel ABS. The first jump in price was through the swingarm change and rear disc addition on the Classic 350 and that was not at all justified for the buyers. On the other hand, Royal Enfield is charging INR 14,000 for every single motorcycle if the buyer considers dual channel ABS variant. Still, the present generation of ABS-equipped motorcycle is safer than ever. 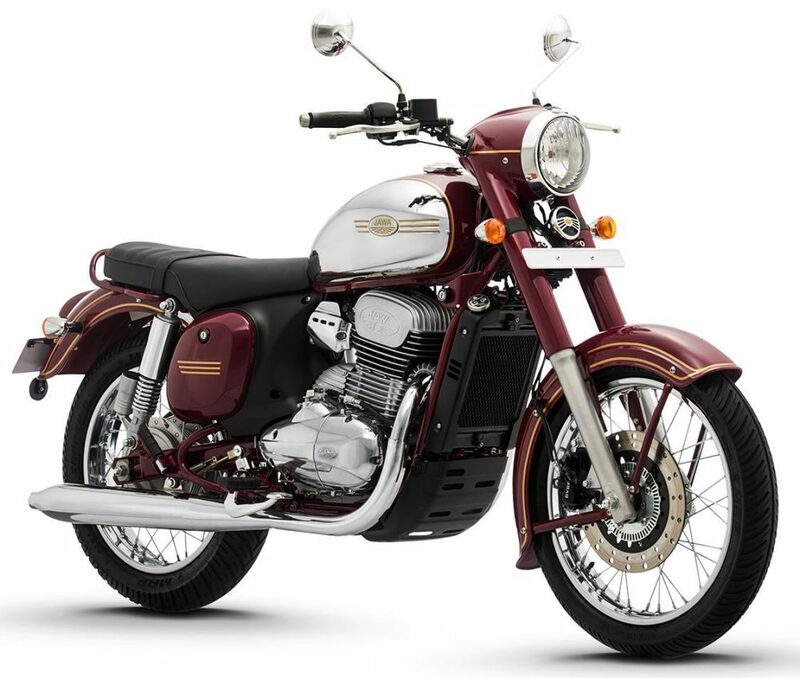 On the other hand, Jawa has announced the arrival of dual channel ABS and rear disc brake for the Jawa 300 and 42 in India. The price point of INR 1.64 lakh for dual disc Jawa 42 leaves Royal Enfield overpriced for no solid reason. The new bikes from Jawa are powerful enough to keep the rider happy at 140 kph while RE struggles in triple-digit speeds. 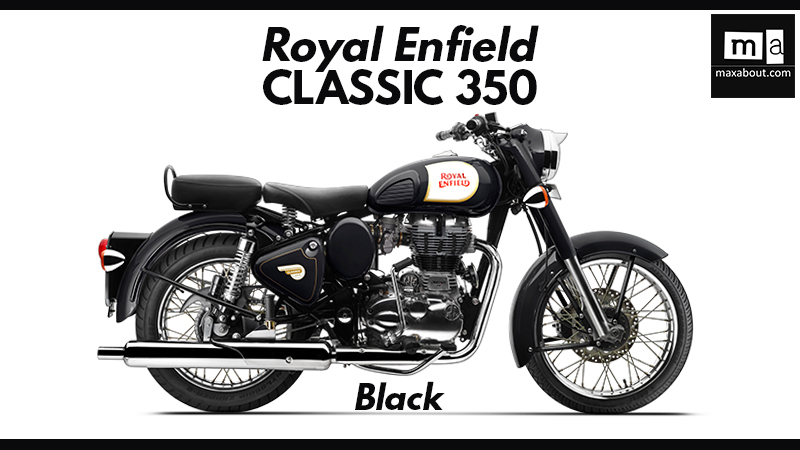 The non-ABS Classic 350 costs INR 1.48 lakh (ex-showroom). 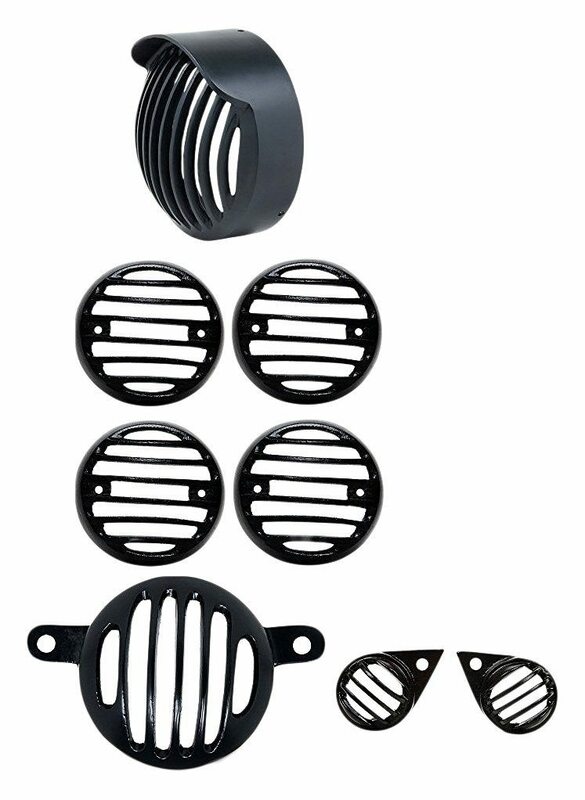 The post Top 10 Must-Have Royal Enfield Classic 350 Accessories appeared first on Maxabout News. 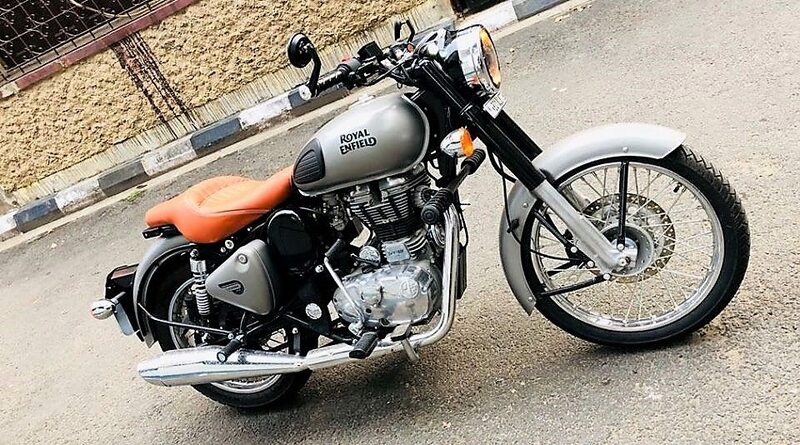 The post Royal Enfield Classic 350 Redditch ABS Launched @ INR 1.79 Lakh appeared first on Maxabout News. 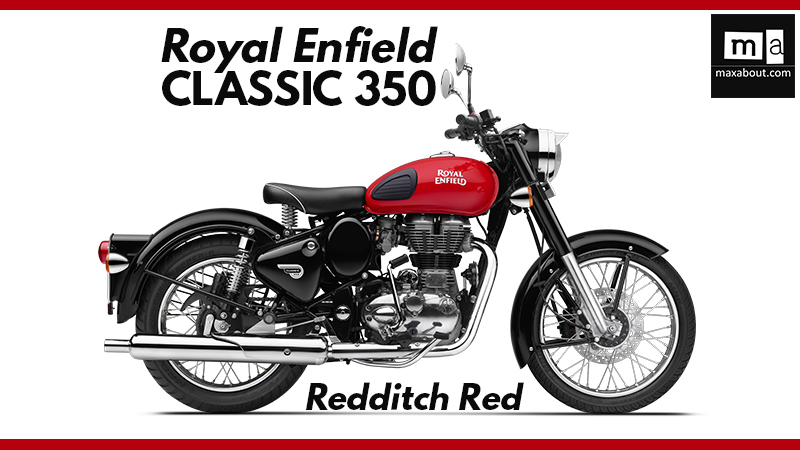 Royal Enfield Classic 350 Redditch ABS is now available in India for INR 1.79 lakh (on-road Delhi). The colourful edition based on the regular model now gets dual-channel ABS and dual disc brakes as standard. The bright paint schemes were introduced to attract more buyers than the plain shades as only fuel tanks were painted on Redditch variant and rest all remains black like a typical premium motorcycle. However, the unique nature of Redditch Edition was down once Thunderbird X series came to the Indian market. The Classic 350 can now be had with ABS in Gunmetal Grey, Signals, and Redditch Edition. The availability of a non-ABS model is limited to plain shades. The standard version is still using dual disc setup and may get the safety feature soon. 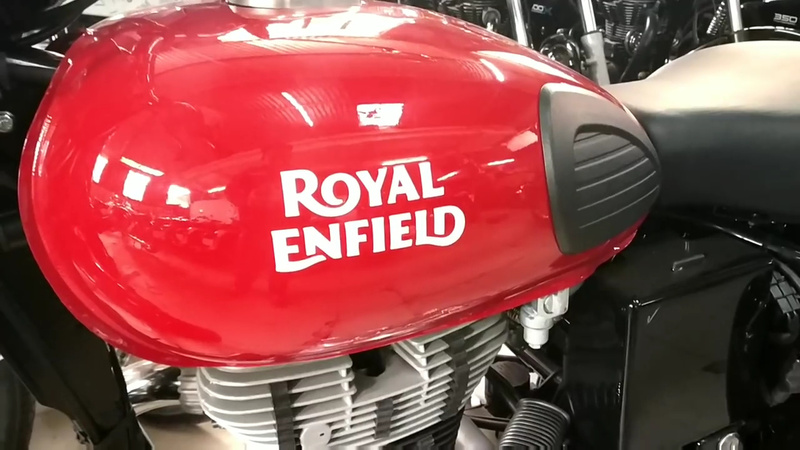 Royal Enfield will use the same ABS unit across Thunderbird, Classic and Bullet lineup. Only the Bullet series is yet to receive at least one ABS-equipped variant. The purpose-made Interceptor 650, Continental GT 650 and Himalayan are already complying with the upcoming norms. If the brand stays at the same speed, all models will be available with ABS from the first month of 2019. The present range starts from Bullet 350 at INR 1.28 lakh (ex-showroom Delhi). The post Jawa Classic 300 (Rear Disc) vs Royal Enfield Classic 350 (Rear Disc) appeared first on Maxabout News. 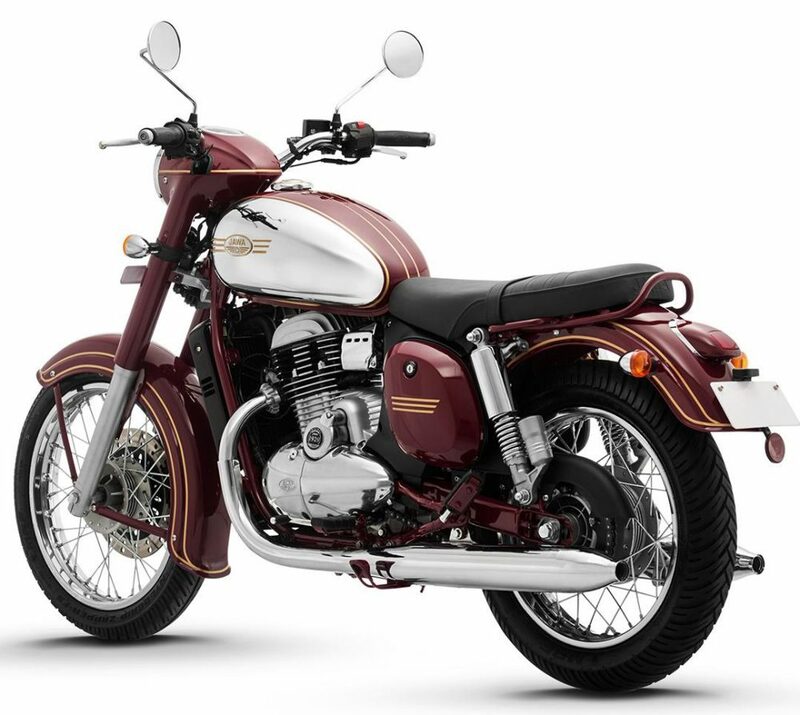 Jawa Classic 300 vs Royal Enfield Classic 350: Mahindra’s sub-brand Classic Legends has officially launched the rear disc brake model of the Jawa Classic 300 in India for INR 1.73 lakh (ex-showroom). The updated model is also equipped with 2-Channel Anti-Lock Braking System (ABS). It is good to see that Jawa took the customer feedback seriously and launched the updated model within a few days after the official launch of Jawa motorcycles in India. 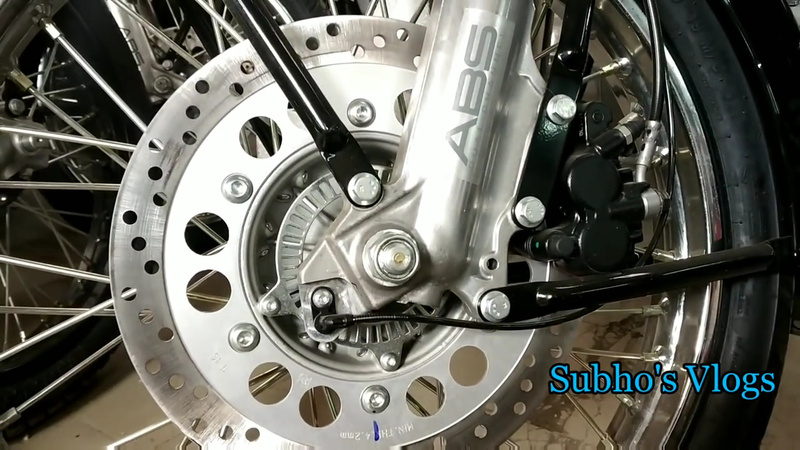 Another good thing is that the customers who booked the 1-channel ABS (rear drum brake) model can upgrade to the dual-channel ABS model with a rear disc brake with no changes to the booking amount. The deliveries of the updated Jawa Classic 300 will begin in June 2019. Jawa Classic 300 targets the Royal Enfield Classic 350, offering a lot more than what buyers presently get at this price point. In comparison to the RE Classic 350, Jawa wins with 7.2 BHP of more power, BS6-compliant engine, liquid cooling, fuel injection, better top speed, and 22 kg of lesser overall body weight. Jawa has simply taken the standards to the next level. Here is a quick technical specification comparison between the updated model of Jawa Classic 300 and the Royal Enfield Classic 350 ABS. The post Complete List of Pros & Cons of Royal Enfield Classic 350 appeared first on Maxabout News. Classic 350 is undoubtedly the king of the current RE lineup. It sells like hot cakes with its potential to rule the streets and provide the most comfortable riding experience on Indian highways. The motorcycle is powered by same 346cc, 1-cylinder engine from Bullet 350, happily producing 19.8 BHP at 5250 rpm and 28 Nm of massive torque at 4000 rpm. It comes mated to a 5-speed gearbox. Here are the pros and cons of buying Classic 350 in India. With 28 NM of massive torque, it becomes clear that power and Royal Enfield are good old friends. Not just that, it takes the least effort for Classic 350 to reach its maximum ability as the values are reached at relatively lower torque than all other motorcycles available in India around its segment. The engine has loads of pulling power, making it the best motorcycle when considering a ride into tough terrains like mountains and slopes. No other motorcycle except the new Jawa carries the same sort of design language as Classic 350. It comes with a full metal body, round headlight, huge fuel tank, curved fenders and chrome spoke wheels. The divided seat is a visual bless while the exhaust is particularly shared between all RE Bullet and Classic models. The retro-inspired design language gives it a unique road presence for sure. 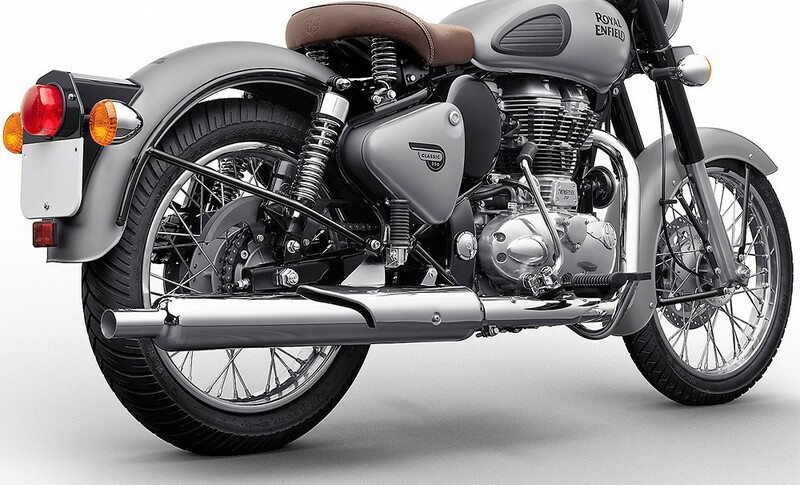 Royal Enfield Classic 350 uses a front 280mm disc brake with 2-piston callipers and a 240mm disc brake with single piston calliper for the rear. This makes it an ideal RE to drive as cutting speeds become easy and driving at higher speeds is more promising than before. Dual-channel ABS further take things to the next level. It has a different handlebar than the Bullet series, providing the rider with more confidence while manoeuvring in high traffic. The tyres are MRF 90/90-19 and 110/90-18 on Classic 350. 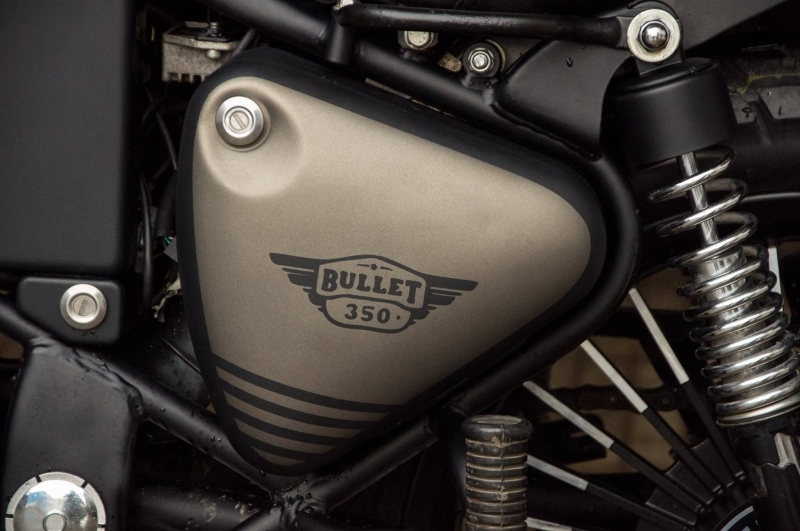 These are years ahead of those found on the Bullet 350 and helps the rider attain new levels of grip on the road surface. RE provides the option of electric start on the Classic 350 as a standard feature. 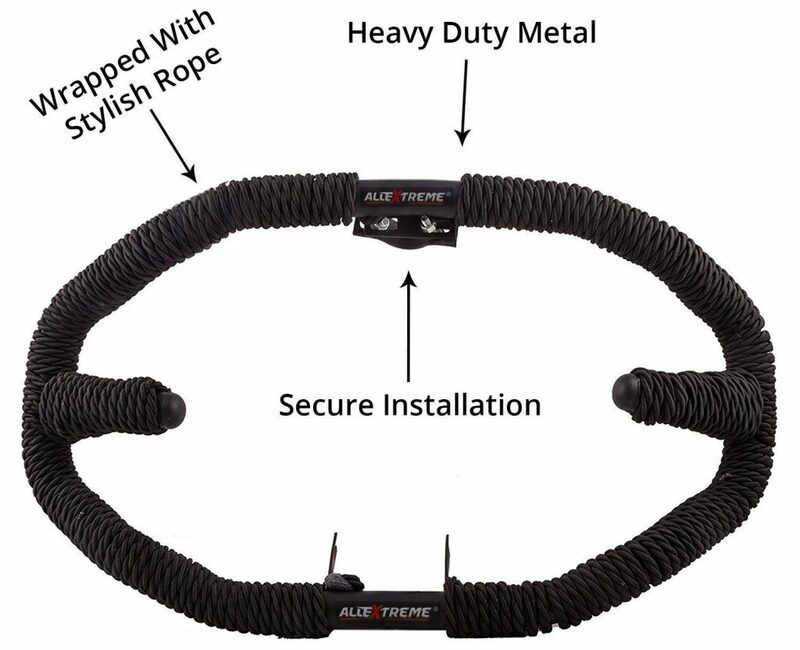 This helps many potential riders that are not much familiar with the kick starter to enter the RE family and enjoy riding the motorcycle in all conditions. 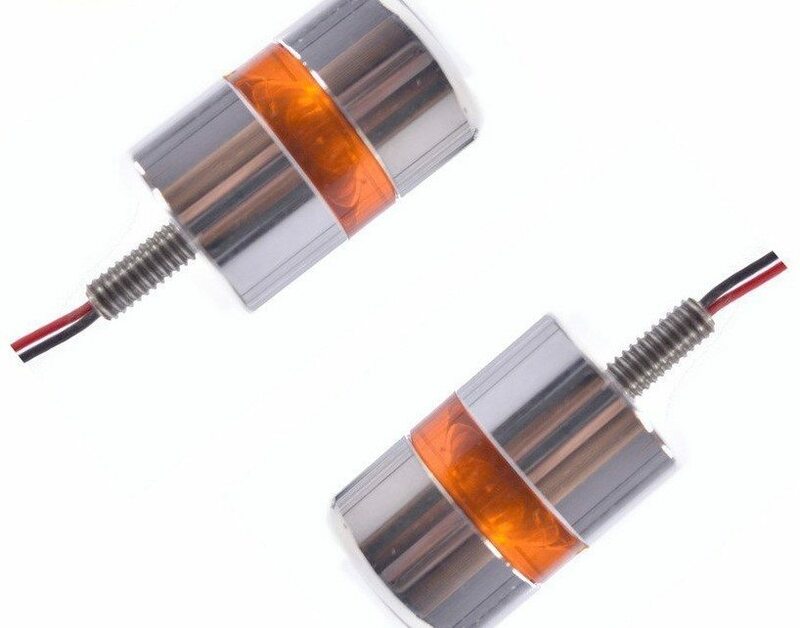 This option also helps those who are scared of the reverse action of RE’s kick-starter, which is considered quite dangerous on old Bullet motorcycles. Royal Enfield provides the Classic 350 with 60W/55W halogen headlight that is twice as bright as normal bulbs in most motorcycles. 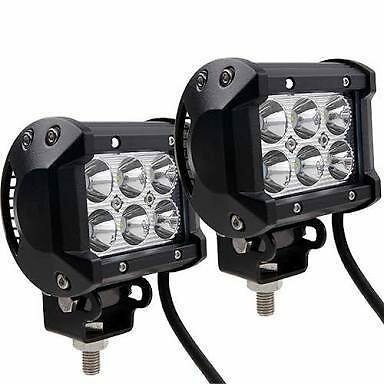 They are extremely useful in bad weather conditions and night time driving. The presence of a pass light switch makes it even more powerful and helpful in rough conditions. 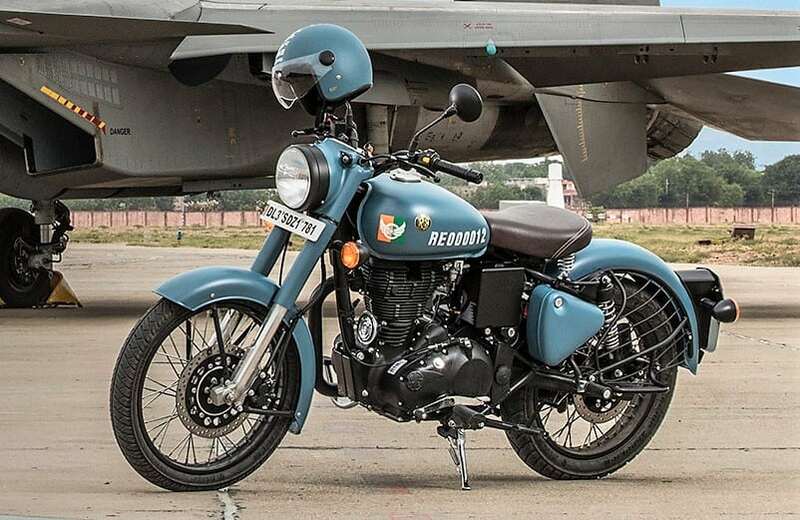 Everyone won’t be familiar with this term for a Royal Enfield motorcycle but many riders have claimed a mileage of around 40 kmpl from their Classic 350. The average value never drops below 35 kmpl in most riders while with careful driving and fuel efficient throttle value, it can seriously touch 40 kmpl without any hesitation. 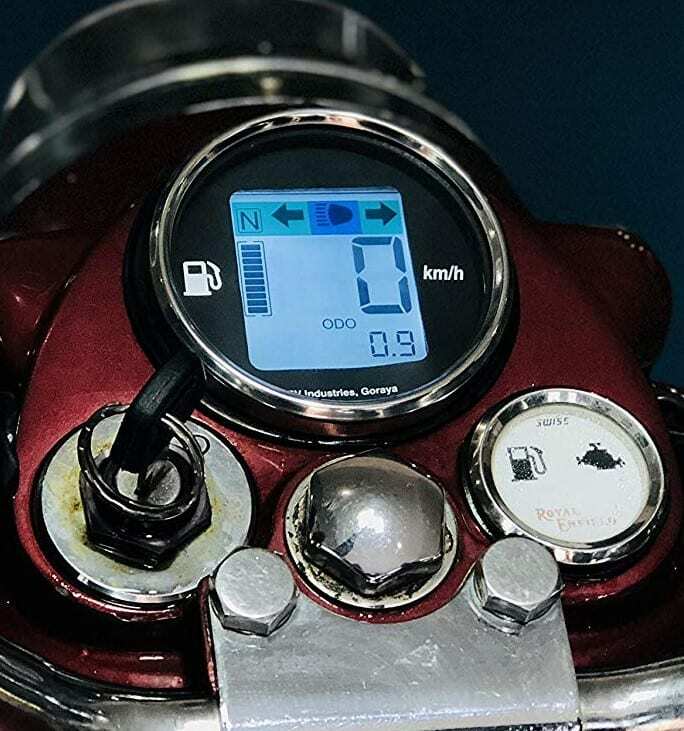 Riders do not need to worry about super constant refills as the motorcycle happily provides 500 kilometres of riding range in a full fuel tank with medium hand on the throttle. RE Classic 350 weighs 192 kg and that makes it a lot heavier than bikes of this class. For some near comparisons, we can consider the Jawa 300 that weighs around 170 kg. The 22 kg more weight makes it a bit slower in overall top speed terms. 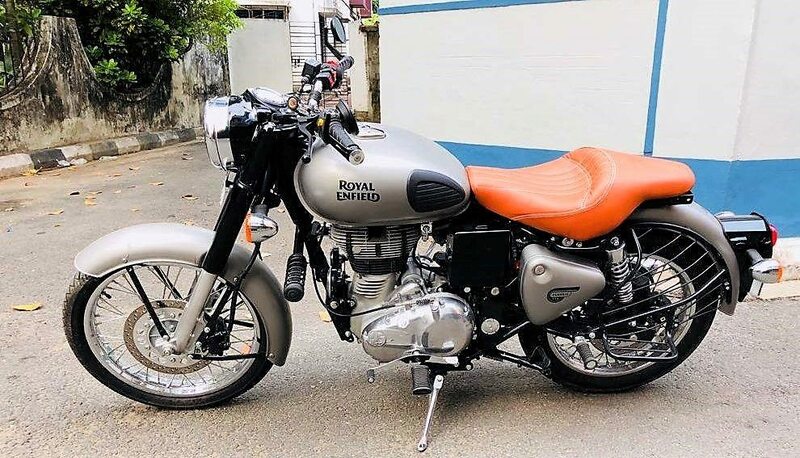 Royal Enfield is actually not known for figures like top speed or acceleration but lowering its weight from some parts could provide an even better ride quality in the coming times. Basically a Bullet 350 with different design and added features, RE Classic 350 commands a price tag of INR 1.48 lakh (ex-showroom Delhi). The addition of disc brake and electric start, along with MRF tyres makes it expensive for sure but the gap is of around INR 20,000 in comparison to the Bullet 350. Royal Enfield should have provided a lower price tag as many buyers skip the same because the on-road price in most of the cities crosses INR 1.70 lakh. The Signals ABS version can be had for INR 1.62 lakh (ex-showroom). 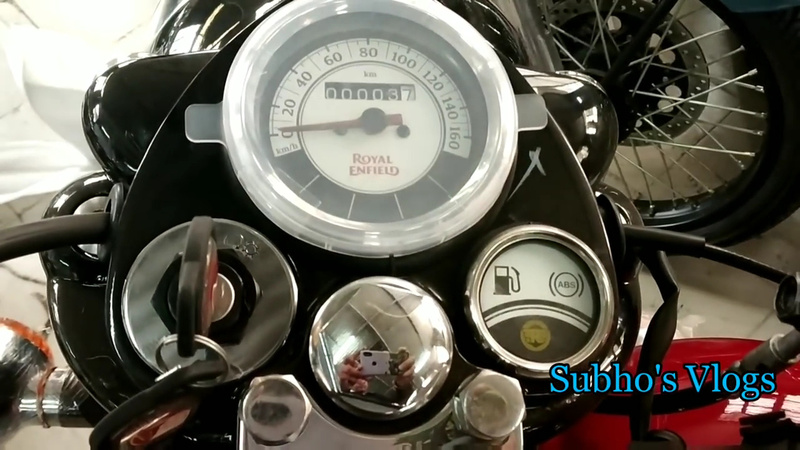 Well, royal feel is a different thing but a fuel gauge could have been a better addition on the RE Classic 350. What if someone takes your bike for a ride and unfortunately switches the fuel knob to reserve due to some reason? You won’t even know when your bike gets out of fuel as there would be no indication of anything before the unfortunate halt. Royal Enfield should work over the refinement issues faced by thousands of fans in terms of engine noise, harsh vibrations and false neutrals. Although RE machines are made to stay longer, not every user actually knows how to go through such a phase when you spend INR 1.70 lakh (on-road) and still are not satisfied with the noise of the engine when idle. 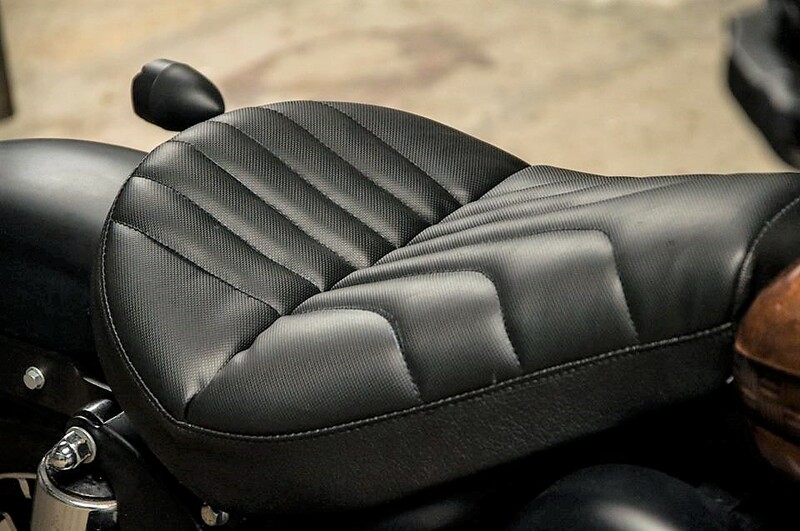 The post Must-Have Cross Cruiser Extended Seat for Royal Enfield Classic Series appeared first on Maxabout News. Those riding hundreds of kilometres every day on their bike understand the importance of a comfortable saddle. 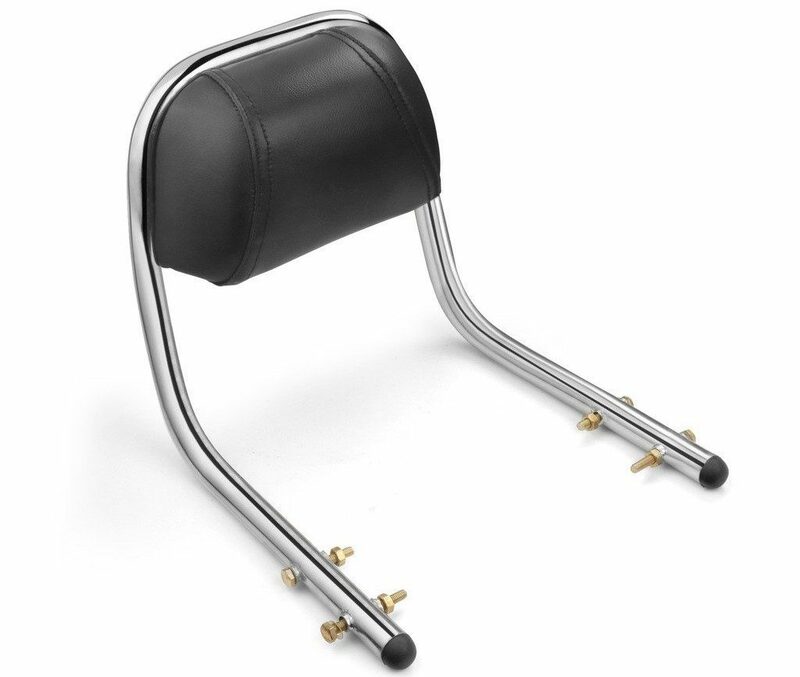 Saumya Customs present their cross cruiser extended seat for those riders who are never satisfied with an increasing number on their odometer. The beautiful seat is extra wide and offers carefully designed lower back support. However, the rear seat design feels more of a city-specific cruiser and thus, single riders will appreciate this product while pillions will have a double thought before getting on this seat. 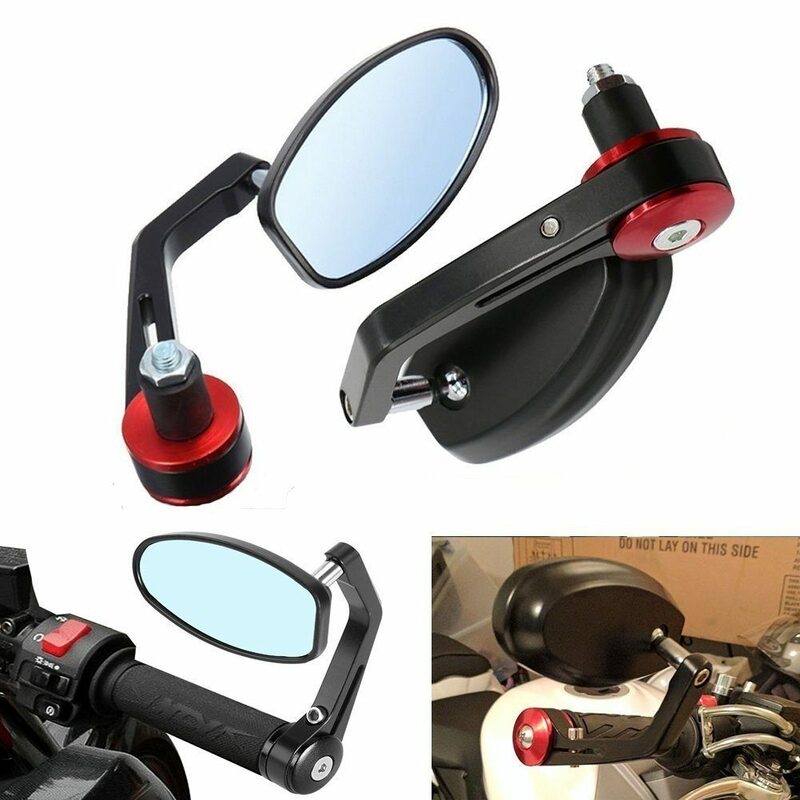 When paired with a backrest, the problem for pillion will also be resolved. The product costs INR 4500 when bought directly. Those buying this cross cruiser extended seat through Amazon will need to pay INR 4999. Also, INR 250 worth delivery charge will also be applicable to every user as this item is not eligible for free prime delivery. The seat fits directly on standard setting and thus, a mechanic will not be required in this case. 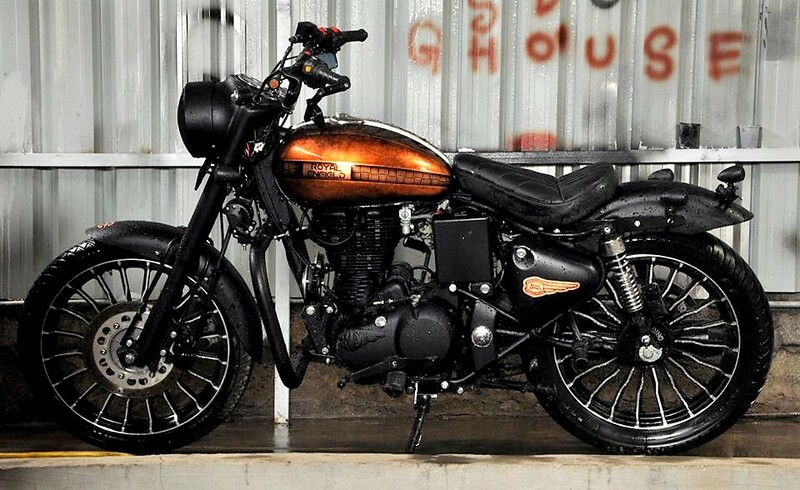 Royal Enfield riders are known to get their bikes custom finished for exclusivity and comfort enhancing purposes. This seat serves both purposes in one shot. It is not yet known if they can deliver this seat in user-specific shade but one can confirm this by calling Saumya Customs before placing an order through Amazon. The seat fits directly on most models but they have not listed Thunderbird on their page. 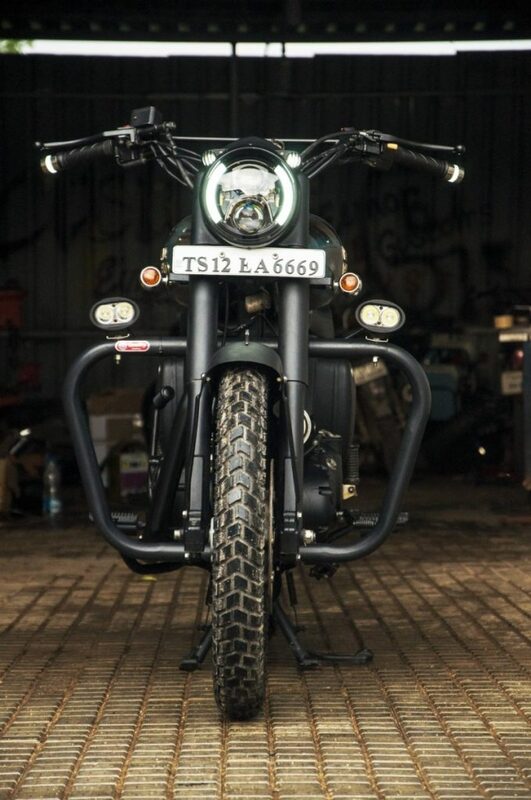 Some other Royal Enfield accessories that are popular with riders include bar end mirrors, crash guards, LED headlight and alloy wheels. Saumya Customs have listed a large number of seats on their Facebook page. Pricing can be directly discussed for other options. Click Here to Buy Now on Amazon India. The post Meet Royal Enfield Classic 350 Cupris Edition by EIMOR Customs appeared first on Maxabout News. EIMOR Customs is undoubtedly one of the best modifiers of India. 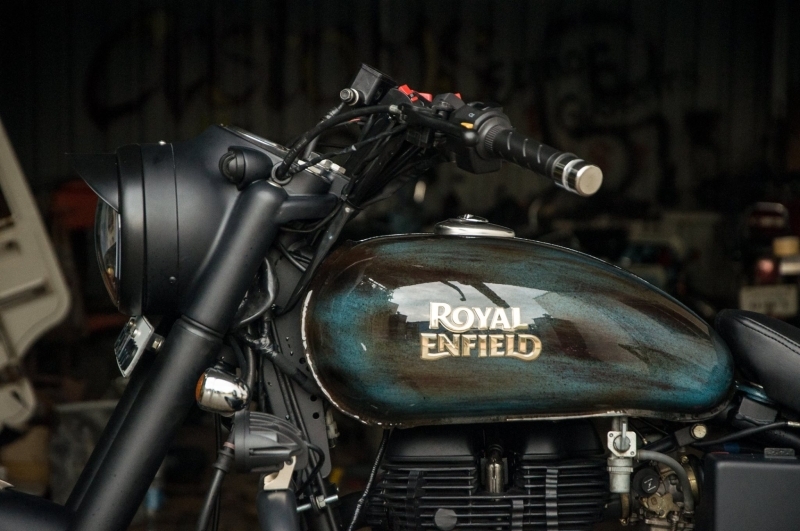 They can very effectively turn a regular Royal Enfield motorcycle into something that is praiseworthy from every angle. Cupris carries the same story and was once a Royal Enfield Classic 350. 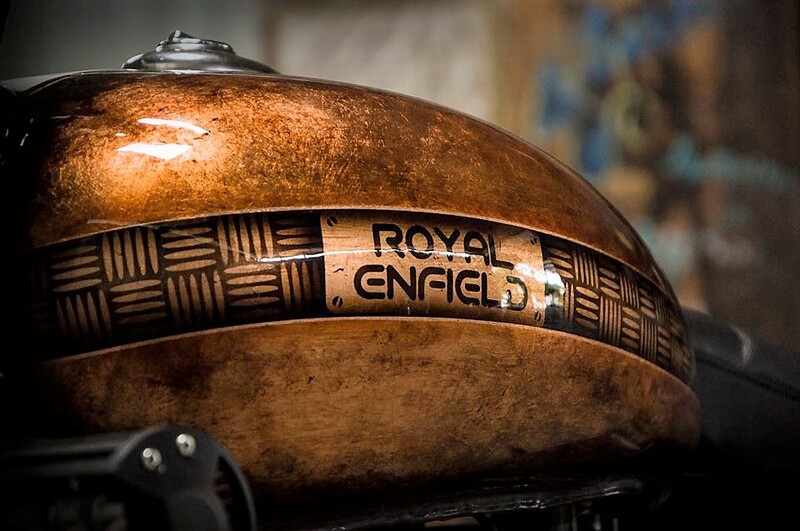 The most effective thing on the Cupris is its fuel tank, sculpted into a masterpiece with its Golden-ish Copper shade and 3-dimensional central finish with Royal Enfield moniker in the middle. Cupris gets an all Black engine compartment, finely finished for the complete dark theme around its frame. 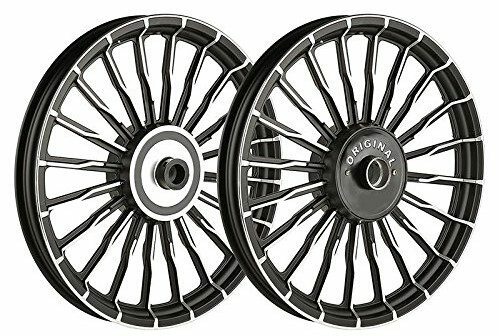 The only shining components are the multiple spokes of the alloy wheels, base finished in Black but highlighted with a lighter shade. The rear suspension is even kept chrome finished on the Cupris. 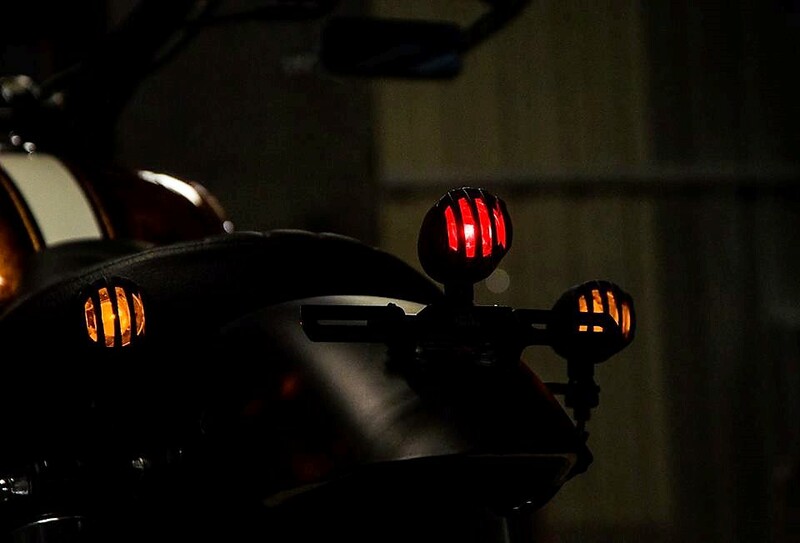 The front forks, leg guard, side covers and even the custom exhaust system of the motorcycle is covered in Black. EIMOR Customs seemed to be soft on the frame altering section as just the rear fender was chopped in the middle and no changes were made to the original frame. They have placed a fully padded and perfectly ribbed single seat on the Cupris. 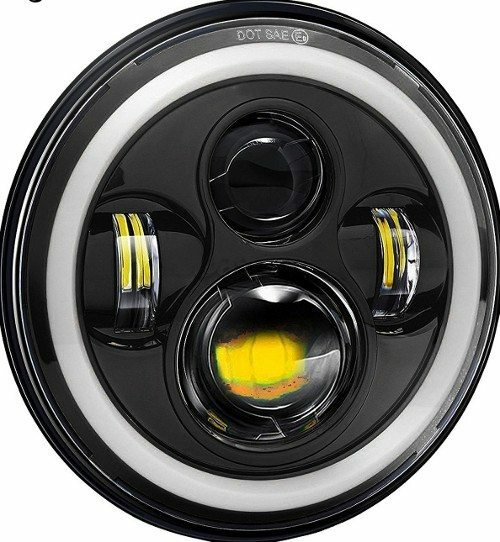 The rear lights are replaced with custom units while the front headlight gets a protector for rugged look. 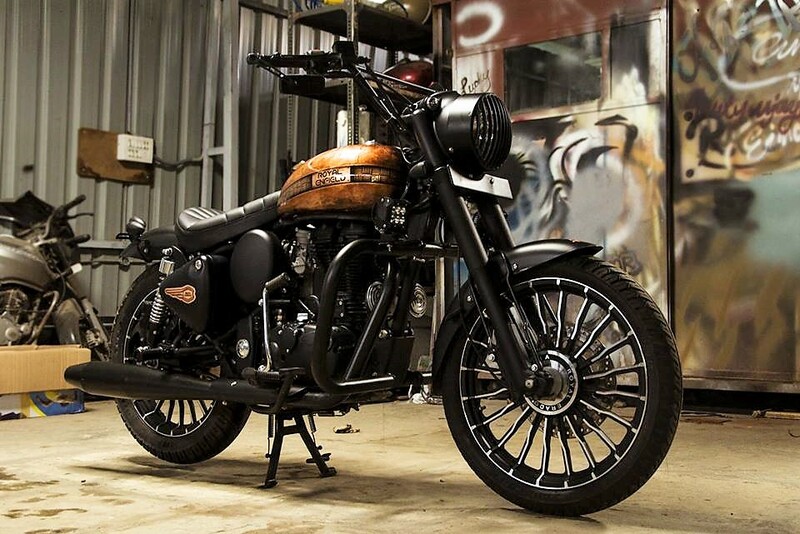 The front disc brake was kept intact while a custom handlebar was placed on the motorcycle. Royal Enfield Classic 350 gets chrome finished rear view mirrors but they have been replaced for the bar end units on the Cupris. The motorcycle carries a 346cc, single cylinder engine producing 19.8 BHP at 5250 rpm and 28 Nm at 4000 rpm. It comes mated to a 5-speed gearbox and claims a wet weight of 192 kg in the stock form. Cupris has lesser overall weight and enhanced performance due to the custom exhaust system. 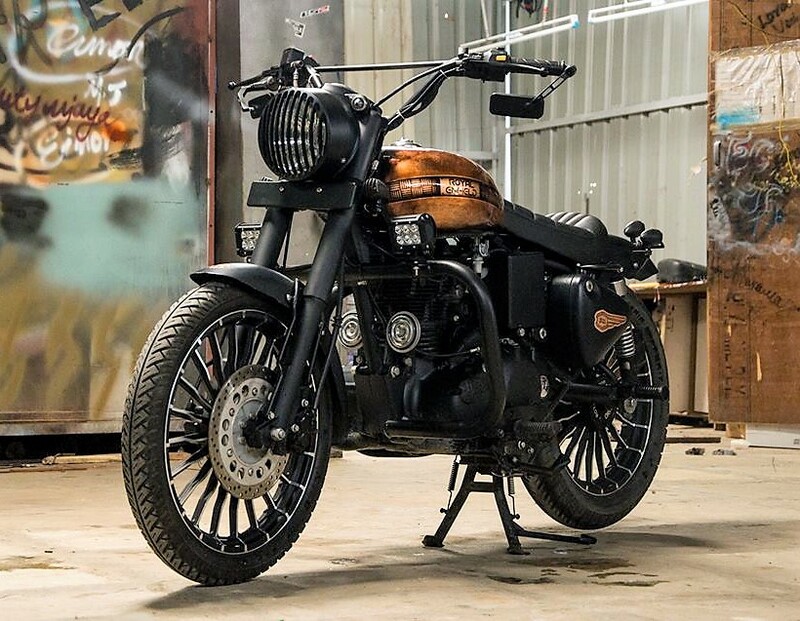 The post Royal Enfield Classic 350 Thakur Edition by EIMOR Customs appeared first on Maxabout News. 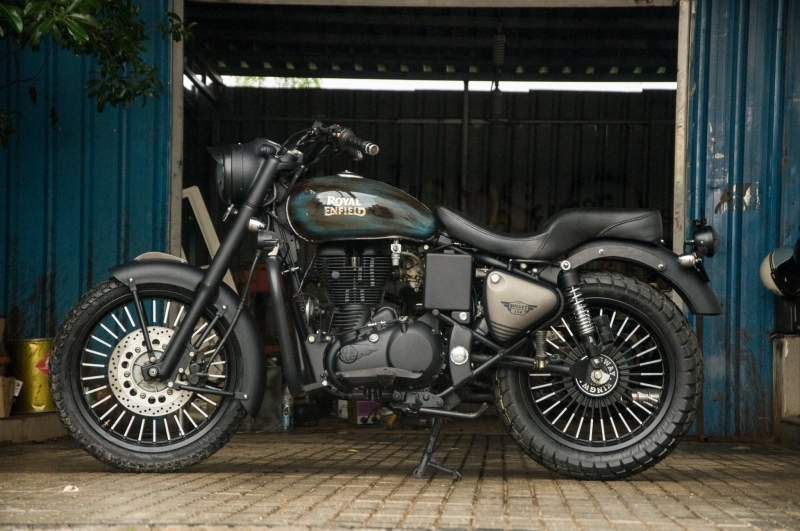 EIMOR Customs are back with another bang, this time presenting one unique piece of art named Classic 350 Thakur. 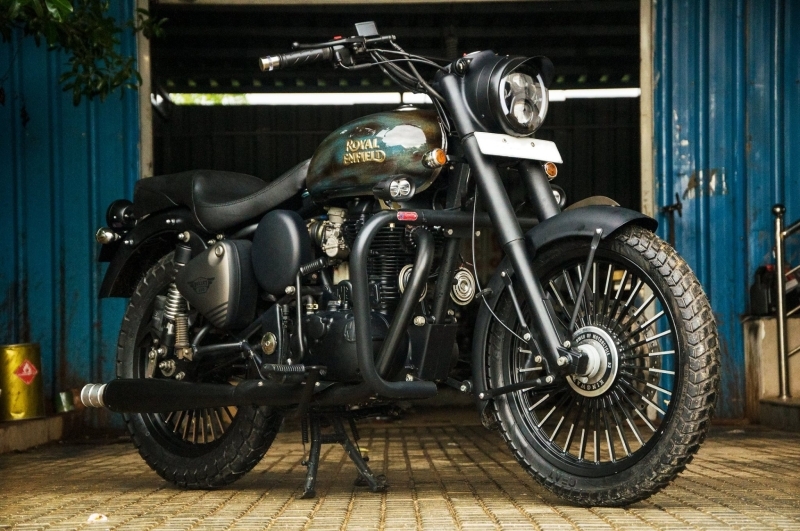 Based on the most selling model of Royal Enfield, this motorcycle has been customized to look more inline with the Bullet series. EIMOR seems against the use of chrome here as 90 percent components on Thakur are covered in a layer of smooth matte black for that mature look. The alloy wheel design used here use chrome spokes, which in turn looks quite good on its masculine stance. 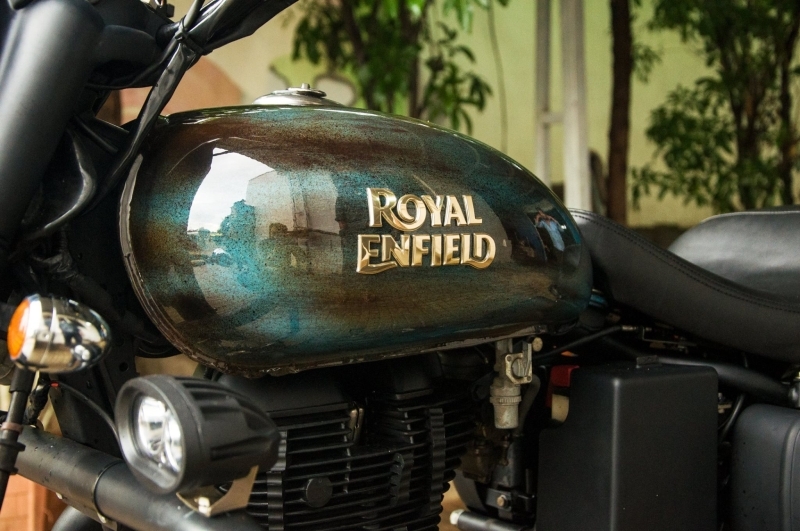 The actual art of Thakur can be seen through its deep gloss finished fuel tank, carrying faux rust textures and golden finished Royal Enfield logo. Front and rear fender now clearly comes in matte black. 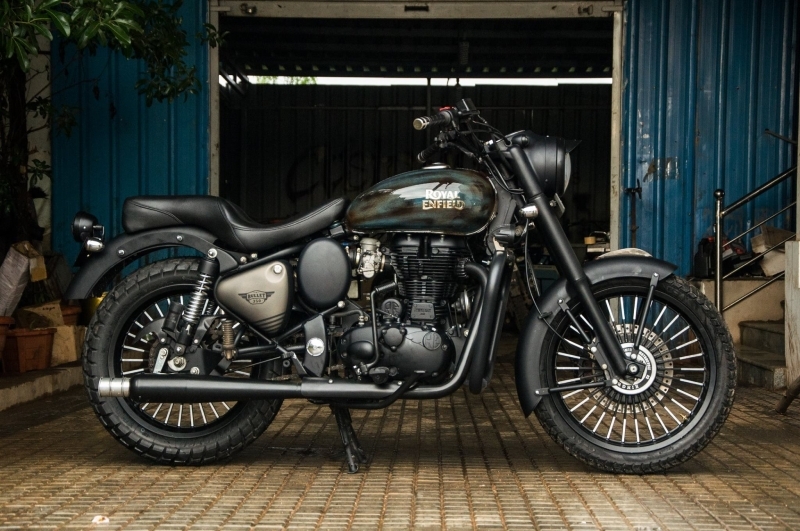 EIMOR Customs used a third matte shade on the storage compartment, highlighting Bullet 350 moniker through black graphics and reworked rear fender. The twin seat made way for a single one while thick off-road tyres are clearly seen on both ends of Thakur. The stock exhaust system was replaced with this free flow matte black exhaust for the most suited contrast to these multiple spoke alloy wheels. The details are so smooth on this motorcycle that one can spot a matte black kick-starter along with engine compartment of the same shade. They have even replaced the headlight unit with a custom projector unit with LED daytime running lights. Royal Enfield Classic 350 is powered by a 346cc, single cylinder air cooled engine producing 19.8 BHP at 5250 rpm and 28 Nm at 4000 rpm. 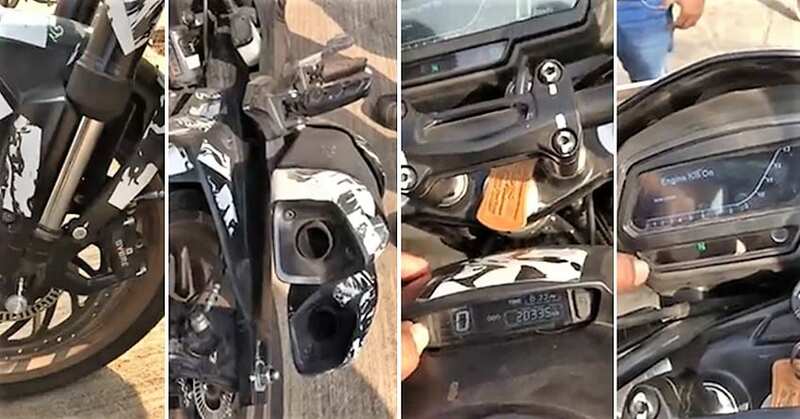 The engine on Thakur was kept in stock condition and carries same 5-speed gearbox as standard motorcycle. 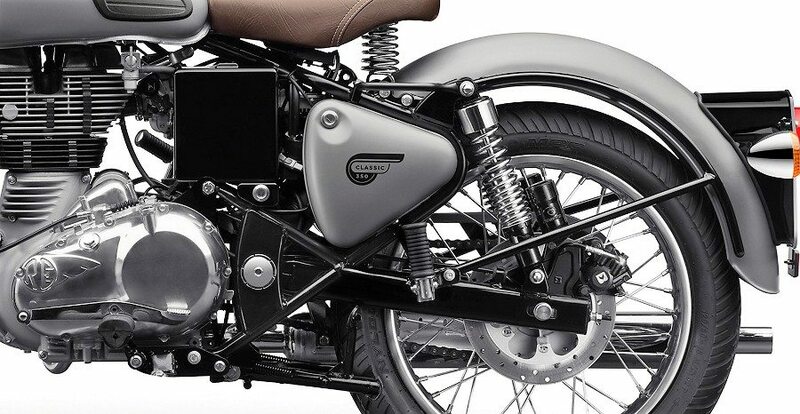 Buying a Classic series motorcycle ensures that one gets electric starter and disc brake in stock condition. Also, it lacks the excessive use of chrome as the stock Bullet ES.